The vast majority of private high schools in America are selective, meaning they have many more people applying to attend their schools than they have available slots. On top of this, because of the huge differences between the thousands of public and private elementary and middle schools, it’s impossible to judge students’ aptitudes and abilities based solely on their GPA. For this reason, many private high schools make use of a standardized test to give them a clearer picture of which of their applicants is best suited for the school. One common test is the Secondary School Admission Test (SSAT). The SSAT test is given nationally several times a year, or students may make individual arrangements to take it on other dates. The test requires the writing of an essay, and the rest of the test is multiple choice. Scores depend only on the answers to the multiple choice questions, the results of the essay are sent to prospective schools to evaluate themselves. 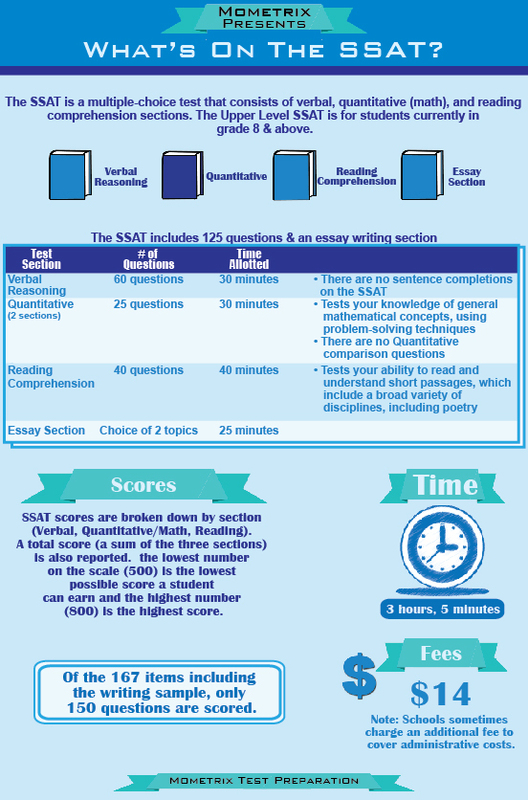 The SSAT is broken into five sections: Essay on an assigned topic, which you’re given 25 minutes to write. Quantitative-this is actually two sections, each of which last 30 minutes and include 25 questions on basic and more complex math skills. Verbal-this section also lasts 30 minutes, and consists of 30 questions on synonyms, and 30 questions on analogies. Reading Comprehension-you’ll have 40 minutes to complete this section. You’ll be tested on 7 different passages, with 40 questions to demonstrate your reading speed and comprehension. SSAT test scores range from 1500-2400, and your schools will receive your score, as well as your percentile ranking, two weeks after the test date. Parents will receive the same report a few days after that. Because getting into a good private school can have a huge impact on your future, it’s strongly suggested that you get a good study guide and spend time preparing for the SSAT test. 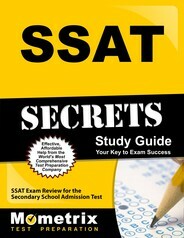 StudyGuideZone.com offers an exclusive free, downloadable study guide to the Internet community for the SSAT test. The guide is in PDF format, so you’ll need Adobe’s free Reader (already installed on most computers) to view it. Anyone is free to link to this page or the SSAT study guide on our server to let students know about this resource. Ace the SSAT test using our SSAT exam study guide with practice questions. 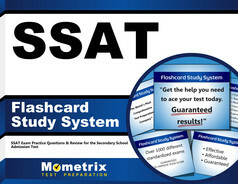 Quickly Solve Difficult SSAT Test Questions with the SSAT Flashcard Study System.